CAIS helped Elfed to secure council tenancy and to relocate to a home that was much better for his health. His tenancy support officer helped him to attend appointments, resulting in an improvement in his physical and mental health, and maintaining his recovery. After securing a tenancy with the council, Elfed now spends quality time with his grandchildren and is enjoying being a big part of his son and grandchildren's lives. 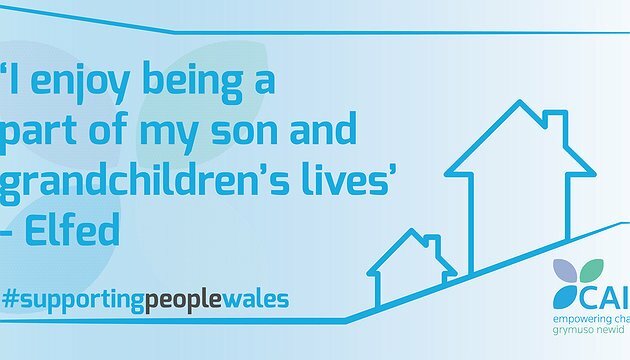 Supporting People offers support to individuals accross North Wales that have trouble living independently due to issues related to alcohol or substance misure.